Interstyle is a Canadian ceramic and glass company, with all their products made in Vancouver. They are known for their glass tile and was one of the first producers of the product in the 1980’s, responding to the demand of their clients. Since then, their company has grown, but they remain true to their roots, keeping their factories in Canada and still focusing on glass tile. We will focus on their floor tiles for this review. 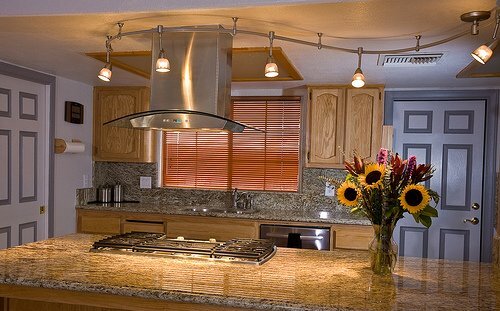 Let’s explore their products to see if they provide and kind of quality and style that the homeowner deserves. Their glass floor tiles are richly multihued and smartly designed, made in both small square sizes and larger rectangular shapes. Some of the glass designs they offer have pictures embossed on them, in floral and naturalistic designs. You cannot doubt that these tiles have serious appeal; they would make your room truly magnificent. They are also unique; you don’t see glass floor tile often. As good as they look, it is important to know that glass floor tile is relatively fragile and would most likely break easily. This could be a big downside to their products. The last thing you want to do is drop something sharp or hard on these tiles. While the tiles are really gorgeous, if you want a more durable product that will last a long time, you should look into porcelain or ceramic. Glass floor tile can be a dangerous proposition if you happen to drop something sharp on the floor. Don’t get us wrong, the designs are rich and very appealing; however, it is important to be practical with floors, because they can be quite expensive. Think long and hard about using their flooring for your kitchen or bathroom, despite their beauty. Interceramic is a company begun in 1979 by the Almeida family. They are one of the biggest producers of glazed tile in the United States and are capable of producing 500 million square feet of ceramic floor and wall tile. They strive to produce superior products and great customer service. They began in Chihuahua, Mexico and now span the globe, from Asia to Central America to the United States. They offer many kinds of products, including porcelain, ceramic, high density, decorative, and glass tile. Does this company have good products? There are few reviews of the actual product online, but we can take an educated guess on whether they have high quality tile. One thing that could possibly not bode well with them is that they are such a big company. Many times, when you grow to such a degree, things like customer service and quality go out the window. However, one positive thing about them is that they are still owned by the same family and haven’t been taken over by a big corporation, which could mean that their products and quality haven’t taken a cut. It looks like they have a good selection of ceramic and porcelain tile flooring, and they seem to be stylish and of good quality. We’ll say that this company seems to make quality tile and probably are better than other big companies, mainly because they are still owned by the same family. This definitely gives them leg up on the other tile companies out there. They have a good selection and look to be high quality as well, with decorative elements and stylistic touches. They are on the conservative side when it comes to design, but still have some elements that are interesting. InSinkErator garbage disposals are some of the best on the market, taking the number one spot in many cases for their whisper quiet motor, amazing ability to break down food, and being capable of taking whatever is thrown at it. They can be a bit bulky for underneath the sink, but if it fits it usually installs easily. Other brands like Kitchenaid have many other products, but Insinkerator basically does only garbage disposals, plus a few other accessories. This is how you know they have perfected the art of their specialty. Are their disposals good for your kitchen? The great thing about their product is that they are proven to work well in older homes, work well with septic systems, and can grind up almost anything. Your days of stopped up disposals would be over. Their machinery is so powerful that they can break down almost all food related products. It’s also one of the quieter disposals around and is clean. The great thing about disposals is that it allows you to get rid of waste materials that could end up smelling pretty terrible in your kitchen. Getting the best garbage disposal is a great idea, and it is important to get one that is high quality if you do; that way, you wouldn’t have to deal with constant plumber visits. These disposals are arguably the best on the market. They run a little pricier than most but are worth the investment. 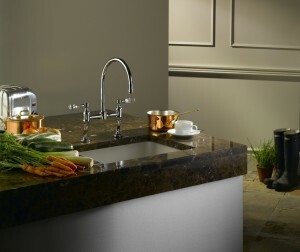 With an Insinkerator garbage disposal, you would have hardly any trouble and it would continue working for many years. The only downside to their product is that they require a relatively large amount of space under the sink. If you have the space, however, getting one of their disposals is a no-brainer. Infinity Drain provides the highest quality drains for your bathroom showers, utilizing innovative technology to make sure you never get a clog. 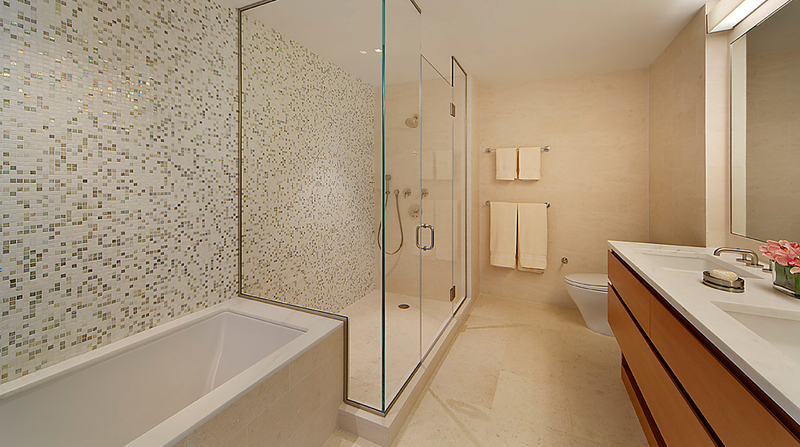 They have made a reputation as one of the best in the business of shower drains, custom fabricating their products to meet your expectations and providing pool drains and drains for patios and balconies as well. Their products are also exceedingly stylish as well, with many modern designs that could help bring together your bathroom. Is this a company you can trust? Let’s review their products and customer reviews. Infinity Drain has a reputation in the market for great products. Their ability to custom make a drain for any customer definitely adds to their appeal. Believe it or not, the look of drains is important as well; no one wants a grimy unappealing drain in their shower. With Infinity Drain, you can receive a drain to your own specifications that looks really polished and modern. They are a little on the expensive side, but it is worth the price for the experience of having a perfect shower drain that will probably never clog. They have perfected the art of drains, and not only do these products work in the shower, but they can be used in other areas of your home. Infinity Drain has high quality products that would never lose their appeal or break. They are expensive and some may wonder why you would spend so much on a drain, but a bad drain can cause many headaches for homeowners. Infinity Drain products could bring up your property values, because they have such a good reputation. Seriously consider buying one of their drains, not only for a shower, but for outdoor areas and pool areas as well. You would not regret it. 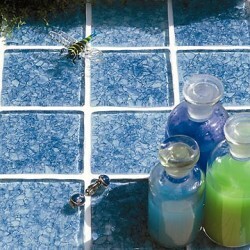 Imola Ceramica tile is a company that focuses on mosaic and bathroom tiles and kitchens. They have unique designs and patterns, with many of their options having lines and patterning printed across the tile which helps create a hip feel to a room. They are an Italian company which bodes well because they are known for innovative and high quality tile across the world. They definitely live up to the reputation for cutting edge tile with their interesting designs. But do they have enough variety and are they affordable? The designs they use for their printed tile is really trendy and cool but luckily has a timeless look as well. It is safe to say that this company’s taste level is on point; for many companies, their trendy tile can venture into the tacky category, and you just know it would not stand the test of time stylistically. Imola Tile is not this kind of company and has hip tile that will last for many years. Their wave tile, for example, is in a neutral color and has an ocean-like texture with the option of floral printed sections that can bring your bathroom to sophisticated heights. This company is great for a hip, stylish couple or individual who would like to make their home reflect their tastes. The style would probably withstand the test of time, despite it being cutting edge and on trend. You can almost always know a tile company is high quality if they are Italian, and here is another case in point. They are on the pricey side, but only the best of things are, and they are worth the money. We recommend checking out this company and seeing whether their style would suit your home. Hydro Systems specializes in bathtubs and has five different collections to choose from. They have a 99 year warranty, which covers aspects of the tub for 99 years and covers parts for 9 years, and it’s nice to know that Hydro Systems hires Americans and their factories are based here. 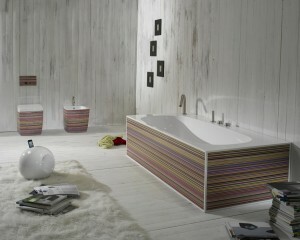 They want to provide high quality bathtubs at affordable prices and value the environment and being sustainable. Are their tubs good enough for your home? We’ll look closer at what they offer and give you an answer. Their collections run the gamut from modern to throwbacks of earlier styles. They are mostly on the modern side, however, with some offerings of Jacuzzi tubs and others freestanding. Their designs look stylish enough, although they could probably do a bit better on that score; some of their tubs look rather plain with little detailing. The best thing about this company is that they are affordable for the average American, so if you are interested in having a Jacuzzi for less, this could be a company to look into. Or maybe not. Their reviews online are less than stellar, with customers mentioning cracks and dents in their new tubs and terrible customer service. Based on these reviews, we recommend passing on this company. Some of the reviews posted about this company should raise red flags. Invest in a company that values the customer, and be sure to do research before buying something as potentially expensive as a bathtub. 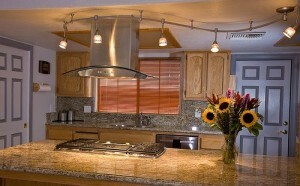 Hudson Valley Lighting is a resource for the lights of your kitchen and bathroom. The company was begun by the current CEO’s grandfather in the 1930’s and 40’s in New York City, but once the business took off moved their facility to the Hudson River Valley. They believe in matching the outward beauty of an object with an inner strength, so they value well made products and oversee all aspects of production. Based on their website, it looks that they have a pretty good selection too. 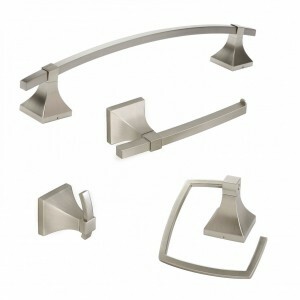 This company has a surprisingly vast array of styles to choose from in bathroom and kitchen lighting. In many instances, you become disappointed by lighting companies because they have the same old variations of the identical design. This company seems to value imagination and creativity and have many lights in several finishes, with interesting designs. They have a good variety that could suit any homeowner’s fancy, with some more modern, others traditional, and some more ornate and Art Deco. There are many sleek styles and ones that are more naturalistic, with each having the potential to really put together a room in a special way. This company is a great place to find unique bathroom lighting that is well made. They also have great customer reviews for their products, so you know that they are of high quality. It’s rare to find a lighting company with any imagination, so we were so happy to discover this company. Be sure to check them out so that you can discover what we did when we browsed their products. A light can make or break a room, and they may have the lighting you are seeking—lighting that stands out above the crowd. Hot Knobs is a decorative hardware company that is most well known for their glass knobs. This is not humdrum hardware, and you could find some one-of-a-kind pieces with this company. They don’t have much of a web presence, but you can still find their pieces on well-known knob sites, where their glass knobs are on display. Some of them are multicolored and they all have a handmade quality. Let’s look at the kinds of knobs that they sell to see how they could work in your kitchen or bathroom. They have many knob collections, including Mardis Gras, which is a spotted multicolored glass design, and the Mosaic collection, which has colored glass in more geometric shapes. Their solid color collection is gorgeous as well, with turquoise, ruby, and steel blue. You could find the perfect color with this company—all the subtle hues are represented with their knobs. Another great thing about this company is that their knobs are affordable, but still look well made. This company is a double threat—beautiful pieces and affordable price. Hot Knobs is the first place you should look for glass knobs. They don’t have metal knobs, but they do glass exceptionally well and have so many options that the need for metal options becomes unnecessary. These knobs could work in many instances and would look great in a cheerful kitchen or bathroom design that already has a glass sink. We recommend looking closely at this brand’s products; it could be exactly what you are looking for and could get you excited about what you could do to brighten up your kitchen or bathroom. And at that price, there is very little to lose. The only potential caveat is that glass could potentially be more fragile than other materials. Hoesch is a bathroom company that manufactures showers and bathtubs for homeowners all over the world. They have an interesting history that begins almost 300 years ago in Germany with the Hoesch brothers, who built iron-cuttion mills in 1742 and eventually went their separate ways in 1819. They were the first company in Germany to create acrylic bathtubs in the 1970’s and are still known for their bath tub innovation. We will look at their immense array of bathtubs to give you our honest opinion about their quality and workmanship. Hoesch has been around for a long time, so they have developed a lot of expertise on bathrooms. They have a huge array of bathtubs to choose from, all kinds included, like freestanding bathtubs, corner bathtubs, back-to-wall bathtubs and trapezoidal bathtubs. The look of their tubs is modern—they are not one to go to for the antique, claw-footed kind. Some of their offerings are so luxurious that you only wish you could have it in your home, like their water lounge, a clear square tub with a lounge inside. Hoesch is on the cutting edge of technology for tubs and that is made obvious by looking at their array of options. 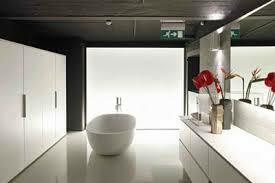 This company is a good choice for a bathtub that is very modern and technologically superior. They clearly provide amazing options as well, with hundreds of tubs to choose from. 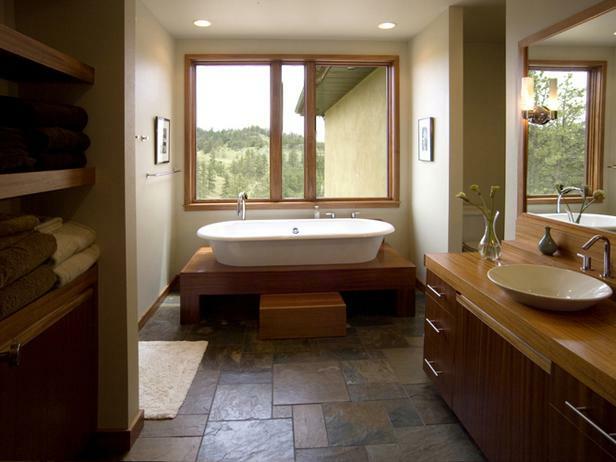 Their bathroom designs are breathtaking in some cases, with surprising additions like ambient lights attached to the tub. Your bath experience would be wonderful and unforgettable with a Hoesch tub, providing you with more than you could have ever imagined. They are pricey, but that can be expected—their bathtubs are top of the line and would probably last for decades. Hickory Hardware is a cabinet knob and drawer pull provider that has a presence in stores like Home Depot. Their website shows hundreds of designs for the discerning homeowner; the kind of selection that you can expect from a nationwide company. They have many materials to choose from, including porcelain, clear plastic, zinc, and wood. If you are unfamiliar with the materials you could use for knobs, it’s not a bad idea to make a company like Hickory Hardware one of your first looks; it gives you the opportunity to see what can be done and you could research which style would work best for you. But are they of high enough quality? It looks like Hickory Hardware’s products are of a pretty low quality. Most of the time, you get what you pay for and these knobs are very inexpensive. If you have a very limited budget this company may be a decent choice, but if you have the money to spend, look elsewhere. It’s not that they lack variety, it’s just that it is obvious that these cabinet knobs would need replacing pretty soon because of wear and tear. 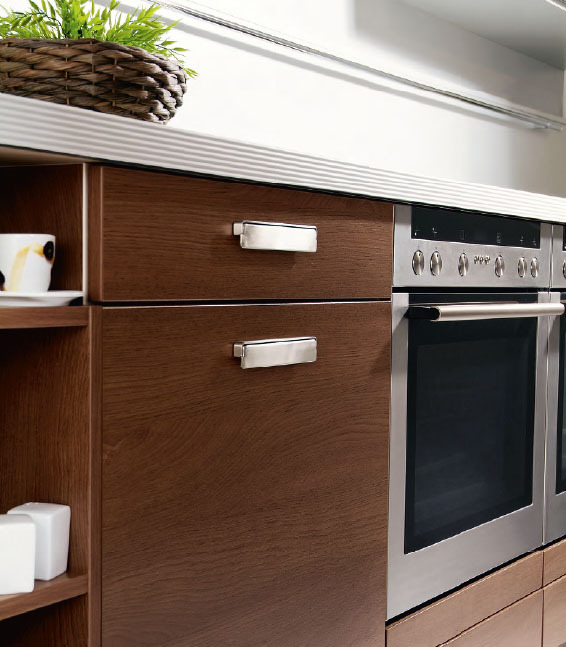 Obviously, they can be a godsend for those with the desire to change the look of their kitchen and bathroom but without a lot of extra spending money. These knobs are of a pretty low quality, and if you have the money to spend on better knobs it would be best to do so. In the end, it is more cost efficient to do it right the first time and find knobs that will last a long time. However, if you don’t care about quality and just need knobs this could be a good option. Otherwise, steer clear and do further research to find a better quality hardware company.